A personal and delicious sweet treat to say thanks on your wedding day. 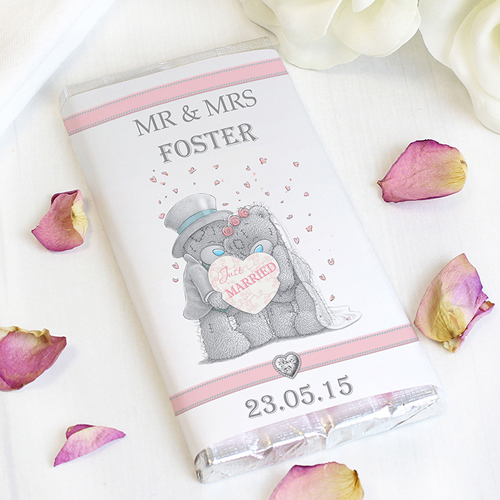 Personalise this Personalised Me to You Wedding Couple Chocolate Bar on the front with a surname up to 15 characters. You can then add a date at the bottom of up to 10 characters long. On the reverse you can have a message of four lines up to 20 characters per line. 'MR & MRS' is fixed text on this item. All personalisation on the front will appear in uppercase.